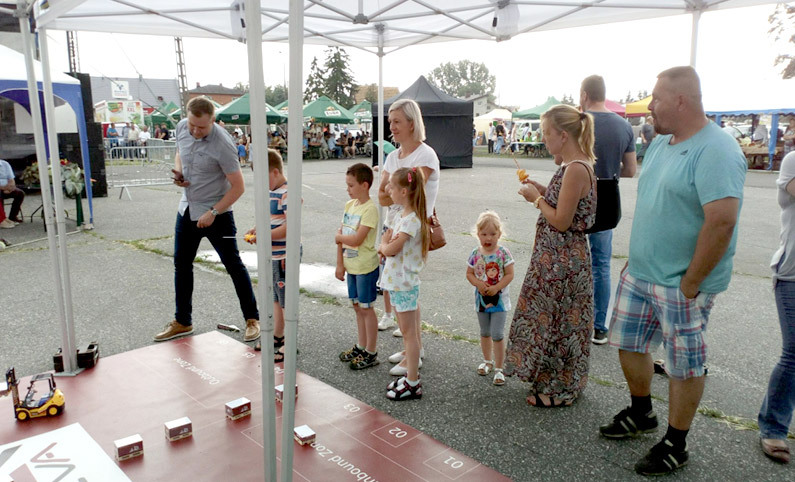 As the new Leroy Merlin warehouse is scheduled to be opened in Piątek in October 2018, we had a chance to participate in one of the biggest events in Piątek- “ Day of Nowalijki „which was held on the 3rd of June. This cultural event is organised every year by the local self-governed body. We were able to participate there in many different activities such as exhibitions, multiple-branch fairs, dance competitions, and concerts. The purpose of our participation at this yearly event was to present our company as a potential employer, logistic operator recruiting for the Leroy Merlin warehouse in Piątek. The main attraction organized by CEVA during the event was the „Big Forklift Truck Race”. The competition proved to be a great success and many wanted to take part in it. The competition has been organized for both children and adults. The winners got the main prize – a tablet and a remotely controlled forklift. All the other participants were rewarded with small gifts. We were very pleased to be a part of the “Nowalijki” event, to present the profile of our company, introduce available job offers to potential candidates and above all, to get to know the residents of Piątek. We wanted to take the chance and thank everyone for the great time and we are glad to invite you to take part in our recruitment processes.